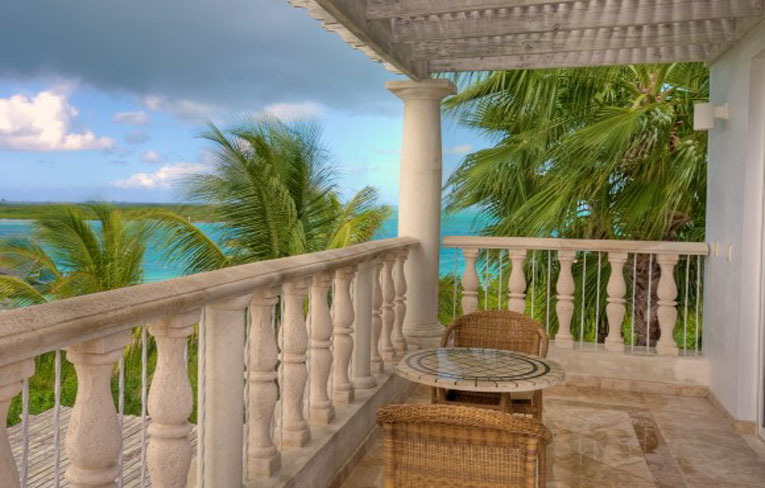 Spectacular ocean views welcome you to this beachfront hideaway, complete with the relaxation and luxury you deserve. 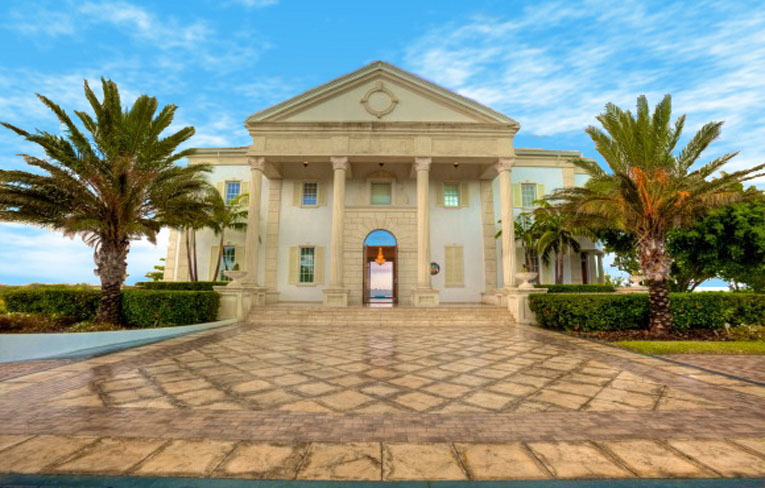 This gated mansion was built with palatial colonial architecture to capture the rich history of the Turks and Caicos islands and the panoramic views of the Leeward Channel, Caicos Banks and Leeward Canal. 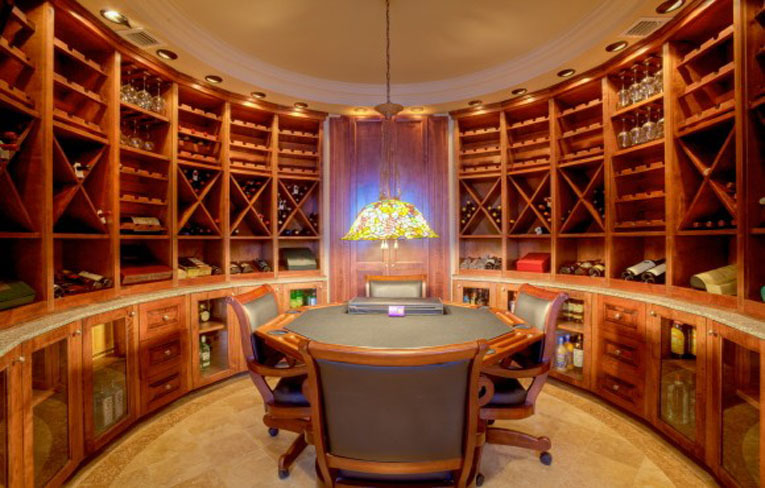 The centerpiece of the villa's gated, 2.5-acre grounds, reached by a private road, is its main house with four master bedrooms, en-suite bathrooms, one children's room (queen bed) and a spectacular glass-bottom pool. 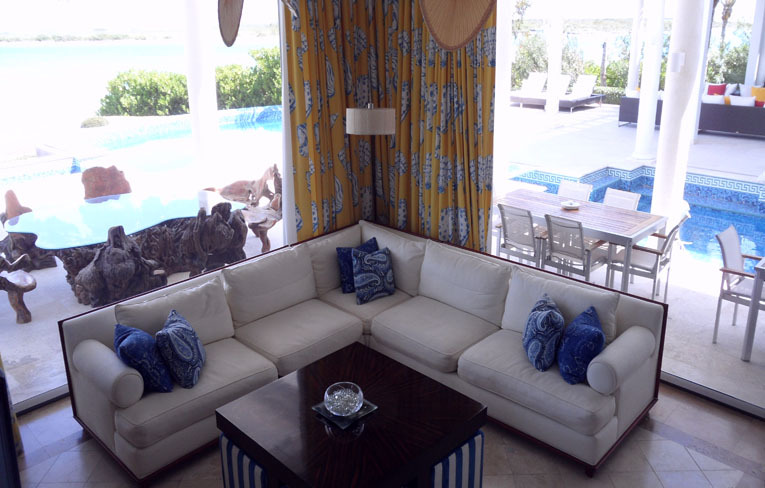 There are two additional guest homes, each with one bedroom and a private reflection pool. The master bedroom on the second floor features a private 10' x 15' heated, infinity-edge, plunge pool, king bed with large digitally operated recessed plasma television, large marble master bath with dressing area, whirlpool tub, shower and oversized dressing rooms. A few steps back from the beach, admidst gardens of swaying palms and tropical greenery are two exceptionally large, one bedroom villa suites. along the canal to the left of the main house lies Villa Rouge. 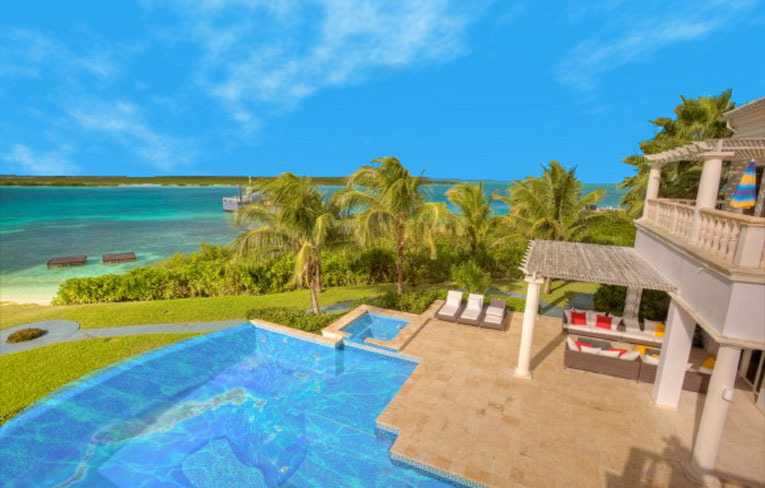 Villa Bleue enjoys views of the Leeward Channel and Mangrove Cay. 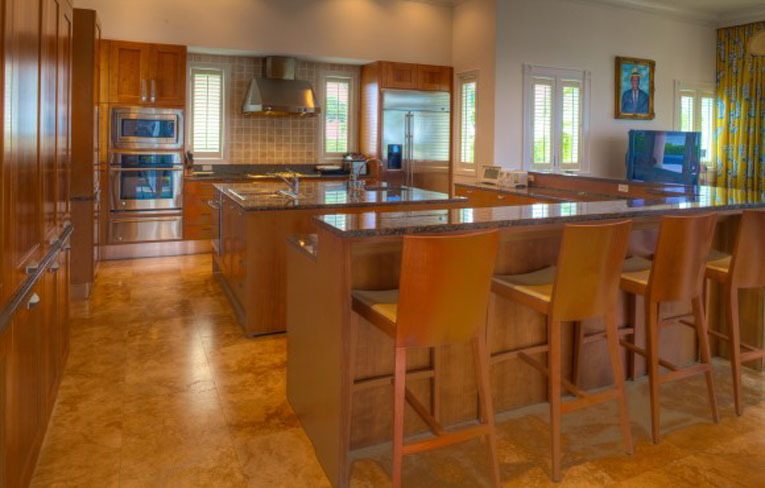 Guests enjoy gourmet dining prepared on request by a private chef in the estate's commercial restaurant-quality kitchen. 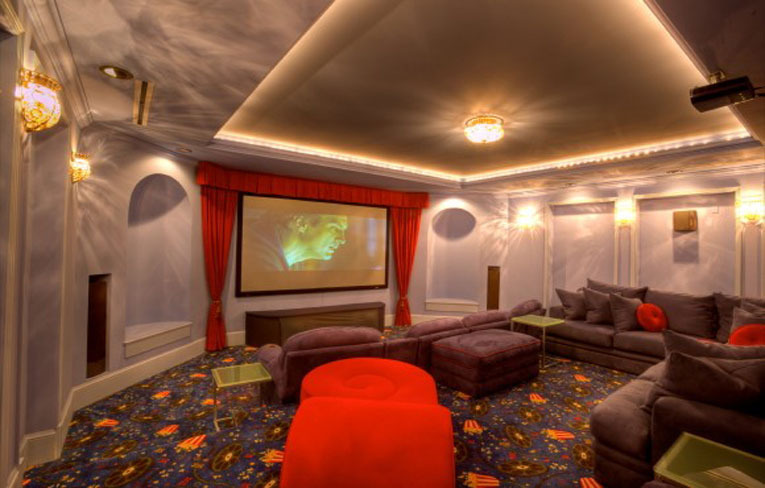 A screening room, cigar/wine room, living room, library and sitting room afford plenty of settings for gathering with family and friends, or stealing away for a quiet read. A secret stairway adds to the mystique of the villa, which also includes servants' quarters and an elevator. 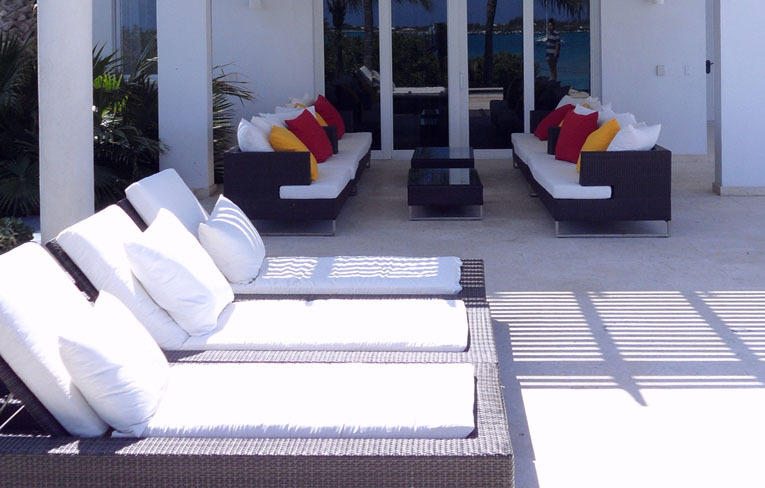 Ocean views tempt guests to the beach just steps away from the house, where a host of water sports beckon. 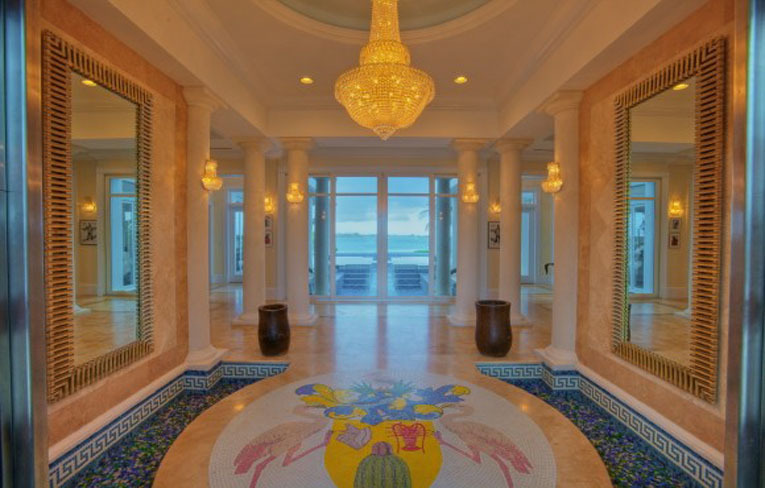 Also nearby are championship golf, tennis, shopping and the luxury resorts, restaurants, casinos and spas of Grace Bay Beach - a stunning, 12-mile stretch of sand considered by many to be the finest beach in the world. 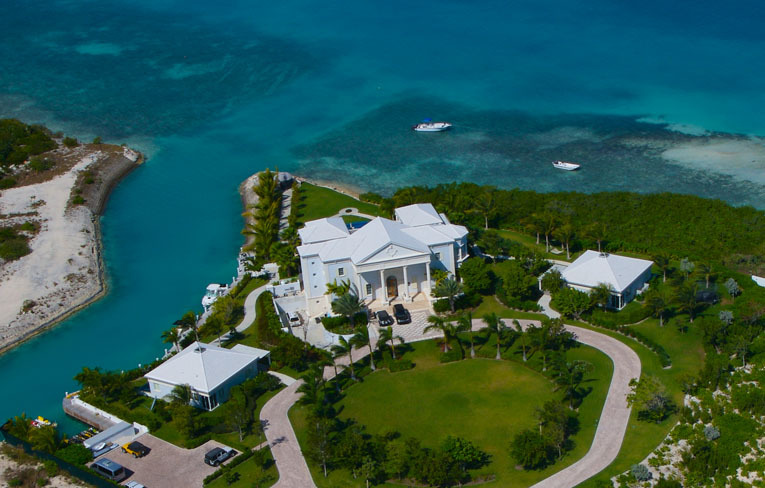 The estate hosted numerous celebrities such as: Jane Fonda, Michael Douglas & Catherine Zheta Jones, Denzel Washington, Chris Tucker, Tom Cruise & many more. 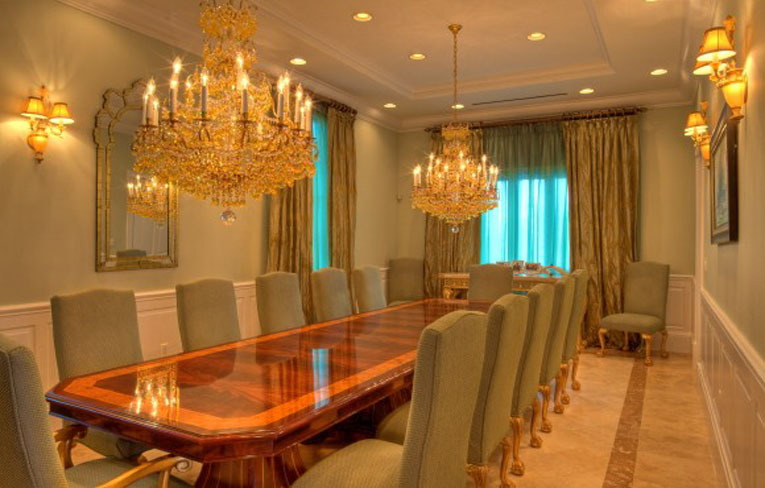 Additional Information: The daily rental rate includes all amenities such as housekeeping, 24 hours concierge, complementary transportation from/ to airport, pre-stocking groceries and private chef for breakfast, lunch & dinner. A very spacious motor boat & two jet skis are also available for rental on property. The estate has also a very accommodating private beach. The property offers a total privacy. There is 24/24 security. 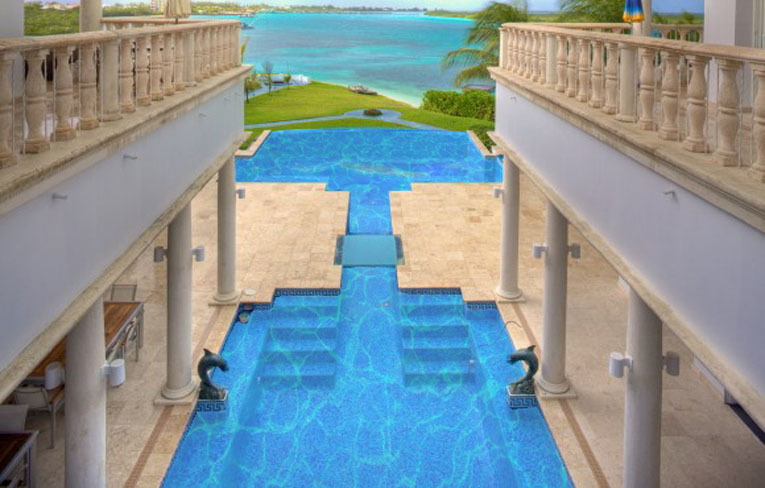 Villa Blanche is an intimate estate on Providenciales, just steps away from a private beach cove and nearby Grace Bay Beach.